Setting appropriate speech, language and learning goals, monitoring progress over time, and helping others (such as classroom teachers) work with the student requires an understanding of how the student can hear with his or her hearing aids under a variety of listening conditions. Given the sophistication of today’s hearing aids and the complexity of the testing used to fit hearing aids it is not always clear where this information can be found. A recent Google search for hearing aid manufacturers yielded 3 million results; how do audiologists even start in choosing the most appropriate hearing aids? They start by gathering information from three sources. i) First, audiologists need to gather as much information about both the child’s hearing and auditory function and the physical characteristics of the child’s ear (size, shape, etc.). This is done by using hearing test results and results from a test known as real ear measurement (sometimes also called probe tube or probe mic measurement), which helps the audiologist tailor the hearing aid fitting for each individual ear. ii) Second, they need to consider the needs of the child and parents in terms of circuits, features and accessories (e.g., What kind of microphone? should there be a volume control or not? What about noise reduction circuits? etc.). When parents are considering new hearing aids for children who are already amplification users, it is very helpful for teachers and other professionals working with the student to know this in advance. If a student is using an FM system, knowing that new hearing aids may be purchased is necessary to ensure that any needed changes to the school FM system (such as ordering new a udio shoes) can be done in advance. Teachers and other professionals may also have valuable information about features that work particularly well, or are particularly problematic, with the current aids (for example, multiple programs that the child uses incorrectly). iii) Third, audiologists need to generate basic targets for how much volume (or gain) is needed at each frequency, what the maximum allowable sound levels should be (ceiling loudness), etc. Years ago, these targets tended to be “guesstimates” on the part of the audiologist. Today, targets are typically generated by a software program known as the Desired Sensation Level Approach (DSL), pioneered by Dr. Richard Seewald and colleagues at Western University in London, Ontario1,2. 1,2. Before we had DSL and other similar software programs, audiologists tended to rely on aided audiograms, standard hearing tests done with the child wearing his/her hearing aids in a sound booth. Parents and teachers grew accustomed to receiving aided audiograms, and used them as assessment, counseling and programming tools. For audiologists, though, the aided audiogram takes a long time (during which the child needs to be paying close attention), does not provide as accurate a measurement of the hearing aid’s characteristics, and therefore is often not performed these days. The DSL approach, on the other hand, provides much more detailed information quickly and easily. 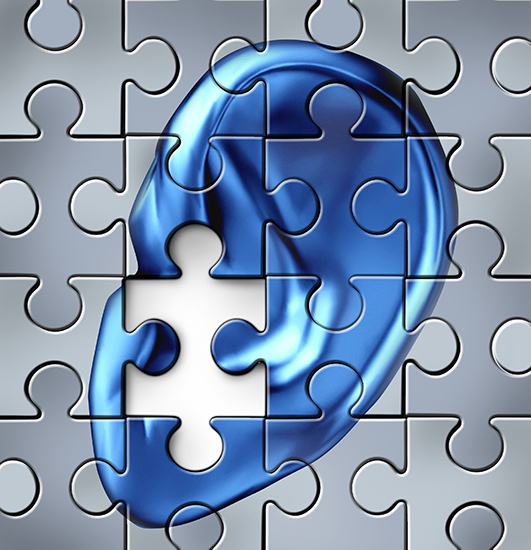 The DSL program needs two pieces of information to generate hearing aid targets (although more detailed measurements can also be incorporated). The first piece of information is the hearing thresholds. It is important that parents know that hearing aid fitting does not need to wait until a child is old enough to provide a full audiogram as the DSL program allows audiologists to start with the information they have and add more information as they get it. It is also important for parents to understand that hearing aid fitting is an ongoing process that can require many “tweaks” to the hearing aid settings as more information becomes known about their child’s hearing. The second piece of information is the real ear (or probe tube/mic) measurement obtained by putting a small rubber tube into the child’s ear canal and measuring the ear’s size and shape. Our ear canals actually shape sound as it passes through them to the eardrum. Something called “resonance” causes certain frequencies in sound to be enhanced or amplified by the ear canal. The amount of enhancement and the frequency range at which it occurs varies from child to adult, and even as a child gets older3,4. This real ear measurement shows what happens to sound in an individual’s ear canal without a hearing aid. Knowing all about how each individual’s ear shapes sound provides a better and more individualized hearing aid fitting. This measurement provides a kind of “virtual ear” for the DSL software, which then uses all of the information entered into it to generate targets for new hearing aids. Real ear measurement is crucial because the performance of the same hearing aid will differ for different sized ears. For example, we might measure a particular hearing aid on an adult and find that the maximum sound output of the hearing aid is 120 dB. When the same hearing aid at the same settings is placed on a child’s ear, the maximum output of that same hearing aid might be closer to a potentially harmful 130 dB because the child’s ear canal is much smaller than the adult. The DSL program allows the audiologist to evaluate many different hearing aids and hearing aid settings, either virtually or by doing actual measurements with a hearing aid. Based on all of the information gathered, and hearing aid information provided by the manufacturers, the audiologist can choose what he/she thinks will be the best possible hearing aid for that child. At this point, of course, the selection is a “best guess” that is based on a great deal of information and research. There is a huge choice of different hearing aids these days, so there is no one perfect hearing aid for each child. 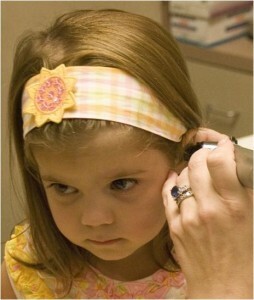 The best hearing aid for a child is one which has been carefully fit, and is worn consistently every day. An expensive hearing aid with all the bells and whistles that sits unworn in its box most of the day is not the best hearing aid for any child. 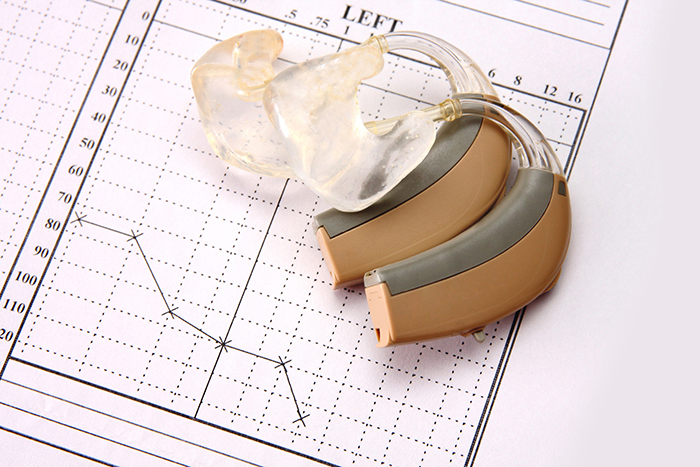 Once the new hearing aids and new earmolds have been received, the audiologist needs to make sure they are programmed properly, and that they meet all of the targets first provided by the DSL program. Years ago, audiologists relied on putting the new hearing aids on the child and doing a standard hearing test (the aided audiogram). While it seems to make sense to put a child’s unaided and aided thresholds on the same audiogram so that the difference can be seen clearly, aided audiograms are misleading and not accurate enough to reflect how today’s hearing aids amplify sound. The “SPLogram” generated by the DSL program can give us the same information, however, if we know where to look for it. The most striking thing about an SPLogram is that it looks like an upside down audiogram. The DSL program converts the child’s hearing threshold information a different kind of decibel, dB sound pressure level (or SPL). All hearing aid data is measured in this different kind of decibel and therefore comparing hearing testing information to hearing aid data compares apples to oranges. Frequency is still read from left to right along the bottom; however, loudness values are now reversed – very soft sounds are at the bottom of the graph and loud sounds are at the top. This shows the SPLogram for an audiogram with a 50 dB hearing loss at all frequencies. The DSL program calculates targets for both average conversational speech and loud sounds for children. Our SPLogram shows a child’s hearing thresholds (as circles), targets for conversational speech (as +’s) and targets for the maximum output of the hearing aid (as *’s). The key to understanding the DSL printouts is to realize that the hearing aid targets have been calculated to ensure audibility of the speech sounds within that frequency range. If an audiologist’s report says “a good match to all DSL targets was obtained”, this implies that all of the speech frequencies (and therefore all of the speech sounds at those frequencies) can be heard (at least in quiet, which is all anyone can predict). We always have to keep in mind that being able to hear a sound doesn’t necessarily mean being able to understand and make sense of it, but hearing is the first step. This second graph shows a test from a new hearing aid. The hearing aid response is the solid line; this example shows an excellent match to DSL targets since the hearing aid line touches all of the conversational speech targets (the +’s) without going over or under them. 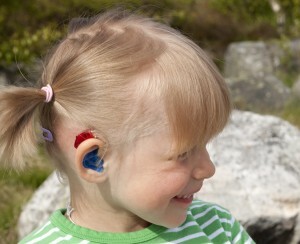 This means that speech has been amplified to a level louder than the child’s hearing thresholds (which it must be in order for the child to hear) without making it so loud that it is uncomfortable for the child, and that the child should be able to hear all English speech sounds with these hearing aids. The SPLogram shows what actually happens – that speech and other sounds are being made loud enough to be heard, not that we are improving the child’s hearing levels. It is a subtle distinction, but one worth making. The traditional aided audiogram implied that we are changing the child’s hearing levels, but the child’s hearing levels cannot be changed. What we have changed is the child’s access to the speech banana. As we know, the speech banana typically falls at a level of 50-60 dB HL; if this is too soft for the child to hear clearly, we must make the speech banana louder to fall within the child’s range of hearing. The SPLogram shows how well the hearing aid is doing its job. It also demonstrates another audiological truth – that sometimes this “range of hearing” can be very small. With sensorineural hearing loss, the individual’s uncomfortable level for sounds (UCL) may be the same or lower than an individual with typical hearing, producing a small “dynamic range” of hearing. The SPLogram format provides a truer picture of audibility across the frequency range since it indicates predicted or measured uncomfortable levels as well as thresholds. Allowing a hearing aid to produce uncomfortably loud sounds is a recipe for hearing aid rejection and potential harm to hearing, so audiologists must keep this “ceiling” in mind. This third graph shows a poor hearing aid response. The hearing aid matches DSL targets up to 1000 Hz, but then the hearing aid response line falls below targets. When this happens (the hearing aid amplifying below targets) sounds in frequency range falling below the targets will not be audible at all with the hearing aid. If these are the child’s new hearing aids, clearly either this particular hearing aid is a poor choice for this child’s hearing loss or (more likely), it is simply not programmed properly and needs to be adjusted. In “real life,” these results indicate that the child should be able to detect all speech sounds at 1000 Hz or lower, but probably cannot detect speech information above 1000 Hz. The frequencies for the different sounds of the Ling 6 sound speech test (oo, ah, ee, sh, s, m), as well as more comprehensive information about speech perception, can be found here. We can predict, then, that this child should be able to hear m, oo, ee and ah, but not sh or s, and would confuse /u/ and /i/. Using more information about speech acoustics , we could also predict that this child would confuse the words “cat” and “caught,” would not hear the plural marker on most nouns (ie, bib vs bibs), would not hear the f, or th sounds, and would not be able to hear the difference between m and n. Remember that this is a prediction, as is the aided audiogram – it shows what sounds of a generic speech banana we think the child should be able to hear. However, there is no universal speech banana, everyone’s voice and their speech bananas are different, changing dynamically from second to second as distance, noise, reverberation and speaker characteristics change. Therefore any predictions we make based on an aided audiogram or SPLogram apply only to ideal listening conditions. 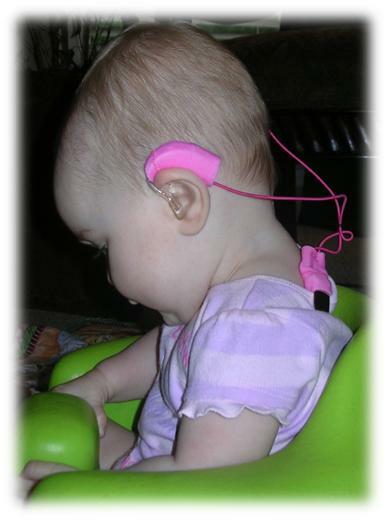 So how, then, can we tell how the child hears in the real world with his or her hearing aids. We have to go find out; there is no software program for this. Validating a hearing aid fitting (making sure the child is hearing and learning with the hearing aids) relies entirely on the eyes and ears of the people in the child’s environment. Before leaving the clinic, parents and families should ask the audiologist to summarize the verification testing in terms of how well the child is predicted to be able to hear all of the sounds of English in a quiet environment. For more severe hearing losses, it might not be possible to make certain sounds (such as s) audible even with today’s technology, and this information is important for parents and teachers to know. At the end of the appointment, the audiologist can easily do a quick Ling 6 Sound test to verify this, either in the sound room using the audiometer, or informally in the testing room. This is especially important because some hearing aids (e.g. those with frequency transposing circuits) will give misleading results on real ear measurement, but will prove that they are doing their job with a Ling 6 sound test. 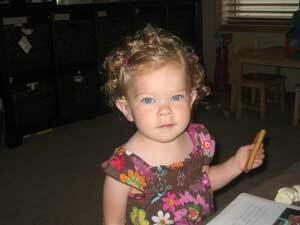 There are many ways that parents, teachers and others can find out how well a child hears in a variety of situations. The Ling 6 sound test can be done in different environments, with different noise levels, with different speakers, at different distances, to get a sense of how well the child is able to detect speech sounds. The Early Listening Function (ELF) from this website is an excellent way for parents and teachers to explore a child’s ability to hear in different situations. 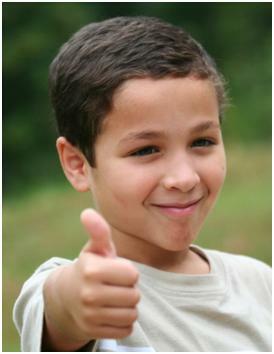 Assessments such as the Functional Listening Evaluation or the Functional Auditory Performance Indicators might be done by the child’s teacher of the deaf and hard of hearing, speech-language pathologist, auditory verbal therapist or early interventionist to gather more information about how the child is able to use auditory information. Many more examples of assessment tools can be found in the Tests section of this website. It is important for parents and teachers to have a good sense of how a child hears under different circumstances both to set goals and expectations, and to know when a problem (like a malfunctioning hearing aid) arises. The unaided audiogram with its speech banana is still a powerful tool to demonstrate the impact of hearing loss for classroom teachers and others. If SPLograms are included with audiological reports, we may still use them as a visual. However, having a classroom teacher see for him/herself that the student cannot hear an /s/ at all from 8 feet away in the classroom, but hears it reliably and consistently with the FM system, is a powerful lesson. Teaching classroom teachers how to be astute and vigilant observers of auditory performance in a classroom, to recognize where listening challenges might be expected to arise, and to be able to implement effective communication and learning strategies, should be our most important goal. 1Bagatto, M., Scollie, S., Hyde, M., & Seewald, R. (2010). Protocol for the provision of amplification within the Ontario Infant Hearing Program. International Journal of Audiology, 49(1), 70-79. 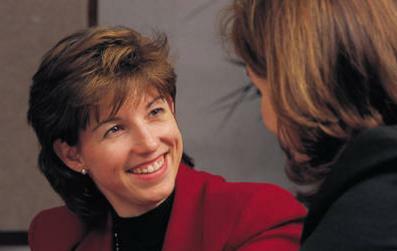 2Seewald, R., Cornelisse, L., Ramji, K., Sinclair, S., Moodie, K., & Jamieson, D. (1997). DSL v4.1 for Windows: A software implementation of the Desired Sensation Level (DSLi/o) method for fitting linear gain and wide-dynamic range compression hearing instruments. 3Kruger, B. (1987). An update on the external ear resonances in infants and young children. Ear and Hearing, 8(6), 333-336. 4Seewald, R.C. & Scollie, S.D. (1999). Infants are not average adults: Implications for audiometrie testing. The Hearing Journal, 52(10), 64-72. Pam Millett, Ph.D. is an educational audiologist and associate professor in the Teacher of the Deaf and Hard of Hearing Education Program at York University in Toronto, Canada. She has over 25 years of experience working with students, teachers, parents, professionals and supportive personnel in schools. She teaches educational audiology, and language and literacy development at York University, and is currently conducting research projects in literacy outcomes for students with cochlear implants and the impact of sound field systems on development of phonological awareness skills for young children.